PESTS CONTROLLED: Ants, armyworms, billbugs, centipedes, chinch bugs, crane flies, fleas, fire ants, leafhoppers, mealybugs, millipedes, mole crickets, pillbugs, scorpions, sowbugs, spiders, ticks and others. Hi, I have a small dog (12 pounds). If she accidentally ingested some of the granules would they cause her harm or make her sick? I have a spider and roach problem and want to get it under control, but want to make sure the pellets don't harm her. I was also going to get the Delta spray – is it best to have both for the exterior? Thanks. 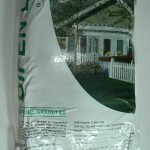 This product can be used safely in the yard without any hazard presented to pets or people. This is because once dispersed, the granules will be spread so thin they will barely be noticeable. More importantly, the amount of active ingredient used is so minute there is no way any animal or person would be able to ingest enough to cause a problem unless they ate several pounds. And since it tastes bad, even if your pet had direct access to the bag of granules, its not likely it would eat any knowingly. Also worth noting is that the granules aren't pellets. In fact they're more consistent to wheat germ. So because they're so fine and brown in color, once applied to the ground and soil they will be nearly impossible to see or pick up when applied properly. For this reason the chances of any getting accidentally ingested are slim to none. As for the Deltamethrin spray; since it will be mixed and diluted and then spread over a large area, it won't be concentrated enough to pose any kind of risk or hazard to people or pets. @admin: I am having a problem with Black Widows on the outside of my house. Will this product be helpful in getting rid of them? Thanks. Probably not. Black widows tend to migrate by "parachuting" or crawling from nearby tree canopies. Low level focus (which is where granular treatments will be applied) can help but in general, you'll see much better results using a spray and treating up high. Generally under soffits, overhangs, around roof lines, etc. should be where the black widows are nesting. For these areas, the Cyonara RTS or Suspend are better options. Now if the spider activity you see is low to the ground or actually on the ground, it could be another spider species. But regardless, if you're seeing them on the ground, go with the Bifen granules applied first and then spray over the top with the Cyonara RTS. This will provide a solid "1-2 punch" to knock them out for good. @admin: Thanks for the quick reply. So far all of my black widows have been no more than 1 foot of the ground….around the bottom of the siding and where the concrete blocks meet. So I'm thinking the granular might work. Thanks for the other suggestions as well! Are these granules safe to use over a septic tank and drain field? Absolutely. They won't impact any of the septic tank bacteria; just the springtails. What is the rate of application with a hand spreader? The "rate" is the same whether you use a hand spreader, a push spreader or if you spread the granules by hand. And that rate (also shown above) is 25 lbs per 1/2 acre. Now in case you don't know, a 1/2 acre is approximately 22,000 sq/ft. So to figure out how many lbs you'll need to apply, first calculate the sq/footage of the yard. And once you know the sq/footage you want to treat, you should be able to figure out how many lbs of Bifen will be needed. Lastly, if you need more help, just tell us the sq/footage and we'll be able to tell you the amount needed. I have springtails in my kitchen area. We had a leak under the sink and it was infested. Currently replacing the cabinet/drywall and sink. Hoping to rid all wet/moldy areas. Can I lay this behind my sink area? What would be the best alternative for inside use to treat springtails? The Bifen Granules should be used outside only and definitely not inside so they are not the right product for under the cabinet. But as our Springtail article explains, using the Bifen Granules and the Cyonara RTS outside the home should definitely be done for any springtail problem since springtail infestations start around the exterior of structures and its there where you need to control them for sure or else more will migrate inside. Now in our article we also list two products which would be good for treating the area under the sink. The first is Deltamethrin Dust. Apply this material to all the spaces you can when the area is open and exposed. Deltamethrin Dust will last a long time, like 6-12 months, and will control springtails well. Use a hand duster to puff it into all the cracks, crevices and wall voids you can where pipes and conduits enter the floor or wall. Just be sure the area is allowed to dry before using it so you get maximum benefit from the treatment. Lastly, once the cabinets are all put back together, use Phantom aerosol to treat any cracks, crevices and baseboards where springtails might try to get active again. Phantom is odorless and goes on "dry" making it ideal for use inside the home and especially good for open areas in living spaces where the dust would be too "messy". @admin: Thank you! Ordering now. They are similar but there are also big differences. First, PT-221 is labeled for use down drains (Phantom is not). So if you have a problem coming from the sink, tub or shower drain, you'll need some. Now PT-221 also has a slight odor and it will make surfaces slightly "wet" when applied. But this is normal for 99% of all aerosol products so its nothing bad. But you can notice it when first applied out in the open. At least right when its applied. Now within an hour or so, the odor will be gone and the area will dry so in the end, you don't know its present but not when its first applied. Conversely, Phantom aerosol is not labeled for use down drains so you shouldn't use it there. But Phantom goes on dry and is odorless. One other huge difference is that PT-221 kills on contact. In other words, its acutely toxic to insects whereas Phantom takes 2-3 days to kill pests. This is by design enabling Phantom to infiltrate nests and colonies since target pests don't realize its around and by walking over the treatment, they'll end up "sharing" it amongst others in their area. So when it does finally kick in and activates, it can impact a lot more of the colony/nest of any pest compared to traditional actives like PT-221. You were mentioned on another website for controlling Cicada wasps. I have an infestation of them. Will your product get them before they reemerge in late spring? Also, is your product not to be spread in vegetable garden areas? If you review our cicada killer article, you'll learn the life cycle of this pest. Basically there are 4 stages; eggs, larvae, pupae and adults. The adults you see right now are very busy rounding up cicadas, planting them in the ground and laying eggs on them. This has been going on for a good month or two already and will continue through most of the fall. That means if you treat nests now using the Drione Dust listed in our article, you'll immediately kill the active adults. You'll also kill developing larvae. The problem is the third stage which is known the pupae. Once they reach that stage (which happens late fall), nothing will kill them. And its this stage that will hatch next spring into adults ready to start the problem all over again on your property. 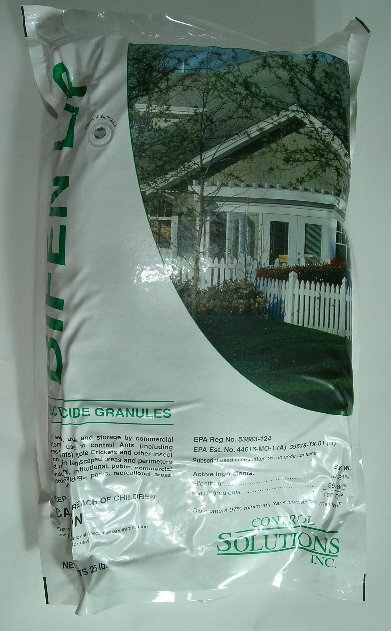 So to answer your question about the Bifen granules above; no, applying them now will not prevent any next spring. But if you dust their holes now, you will greatly reduce the chance of what we call "continued" activity. Continued activity is the year to year cycle of established populations. Since you have plenty of time to treat now and effectively "discontinue" their year to year activity, dusting their holes would be the best way to proceed at this time. So where do the granules fit in? They should be used next spring. Their purpose when used at that time is to prevent new cicada killers from coming around and digging new nests. Remember, if you have activity now, its highly likely this same area will be attracting more next year due to certain smells (pheromones). So if you want them gone for good, dust their holes now with Drione and put out the Bifen Granules next spring and you should get your desired results. End of November in NC. Is it too late to spread Bifenthrin to eradicate grubs? Moles have suddenly become very active and are destroying a lot of lawn. Its actually prime time to treat for grubs. As explained in our grub control article, grub larvae will be feeding late fall through early winter and here in the southeast, that's from October through January. Now during some winters we may have 1-2 months when it can be too cold but again, that will only happen if we get freezing temps for 1-2 weeks so its not every year. And given the recent weather trend, grubs will be quite active for another 4-8 weeks which in turn will lure feeding moles (as you already know). To stop the onslaught, get granules applied ASAP to take away their food. Is this effective against grasshoppers? It can help. But as explained in our article, you should use both the granules, the spray and the spreader sticker. Basically the granules are for prolonged protection; the Bifen Spray and Spreader Sticker will do more immediately. After many attempts to rid my patio and yard of springtails, even using a Terminix service, I researched your site and followed your recommendations using Bifenthrin and Cyonara spray. It appears we have beat this little devils. Thank you so much for your help! Having a bit of a springtail issue and just purchased bifen granules and Cyonara RTS to treat outside. As I was removing mulch from up against our foundation to replace with gravel, saw a TON of springtails in the mulch. We have a weed liner under the mulch. Will the granules work if we sprinkle on top the mulch and liner? Will they sink into the soil beneath the liner without having to pick it up? Probably not. At least not "significantly". In other words, you might be able to kill some but not enough to make a difference. That being said, it might be worth waiting to see. Basically apply the granules and then spray "extra heavy". After that, wait at least one week and then inspect the area. If you find almost as many under the liner then as you saw today, it means you'll need to remove it for the treatment to have an impact on the area below the liner. In fact liners are a huge "plus" for springtails and in general, what we call "springtail manufacturers". They basically create an "incubator" like moist area filled with fungus, rotting organic matter and moisture. These are the three ingredients springtails need and where present, they thrive. In summary, it would appear that your outside environment is exactly what our article is trying to tell everyone: springtails come from the outside and when conditions are prime around the home, its just a matter of time before they star appearing inside the home too. The good news is you can knock them out if you follow the treatment routine our article describes. It might take a month or two but you can win back this area and once you kill them adjacent to the home, you won't be seeing them on or inside anymore. Have a springtail problem. Really dont see a lot inside but tons on my deck, window sills, house siding, patio etc. We have mulch and plantings all around the house. SO, if I spread spread granules around the house and in the mulch should this start to control the problem? Where are you located? So for your problem, you'll need to get some of the Bifen listed applied to start. But from what you described, the spraying with Cyonara RTS or Bifen XTS will be critical for your problem. In fact this is what will provide quick control of the springtails you're seeing. And if you treat every time you see them "come back" to the areas like the deck, windows and siding, you'll quickly knock out the problem for good. I have found 3 brown recluse spiders in my home over the last couple months. They were all in different rooms. I have an inside cat. I also have an outside cat. How can I treat this problem without harming my animals? As you'll learn, a good outside residual with Bifen Granules and Defense spray will keep them from entering the home. Inside the home, spider traps and Phantom aerosol is a good starting point. In fact the only "pest" I routinely find in my home are spiders and since I have mostly hardwood floors, the Phantom is ideally suited for my needs. It doesn't make a mess, goes on odorlessly and lasts 1-2 months working on a wide range of pests. I mostly use it around windows, doors and baseboards. Its easy to apply and works great. Have had a major problem with infestation of spring tail insects located in the master bathroom of a our home that just happened about two years ago. The bathroom sits on a cement slab covered with ceramic tile and is located on the southwest corner of the house. Tried other treatments, but nothing stopped the flow of spring tails into the bathroom. Last year, used a treatment of Bifen Granules and Cyronara outside and it knocked down the flow significantly. Still see a few spring tails so have continued the treatment this year. The improvement from last year after the treatment to this has been dramatic thanks to your products. Hope this input is helpful to others. Bifenthrin is great! Had an absolute outbreak of moles in my lawn while away on vacation. Found Bifenthrin at Bugspray.com and used it. All mole activity stopped within a week of using it and had no more activity for six months. I now use twice a year and have eliminated the pests tunneling in my lawn. Works great! Finding dead bugs everywhere and the main one we were after(kissing bug) now dead. We have seen a few kissing bugs in our backyard. Is this an effective treatment for us? We have about an acre and would use a spreader to cover our entire yard. If you refer to our online article, you'll see that you should first apply these granules and then spray over the top with the Cyonara. The granules work down low, where eggs and larvae reside. However, the granules will not affect the adults you reported seeing. You can even spray the homes siding with the Cyonara to prevent kissing bugs from getting inside. I have an infestation of black beetles in the yard and around the outside of the house and in the garage. I am in NC and with all the recent rain and humidity, they are getting worse. What can I use that is safe for the dog, but will kill them? Tired of sweeping up dead beetles. Work great. We bought this kit for the Millipede. It works very well, although we have been used it for two weeks only. I like the result. Thank you for solving my bug issue.